The physical activity to be translated to a digital engagement involved participants throwing a ball to one another. A business partner sought to translate a traditionally facilitated classroom training session activity into a digital asset that could be delivered virtually during a self-led, eLearning training module. Effectively, we needed to translate a physical user experience into a digital medium. This presented a challenge because the activity relied on groups of people physically tossing a ball to illustrate the concept that scheduling associates in an on-demand environment matters. The physical nature of this activity cannot directly translate to the virtual world. "Effectively, we needed to translate a physical user experience into a digital medium." After researching the activity and discussing it with the client, we agreed that the conceptual learning of the activity was the important part to translate into eLearning, and that it was not important that the user be physically engaged. We knew that the activity was designed to show the user two things. First, it was meant to quickly prime the user with how the operation is supposed to work when things are running optimally. Secondly, it is meant to intentionally fail the user and show them how easy it can be for even just one thing to influence an undesirable outcome. 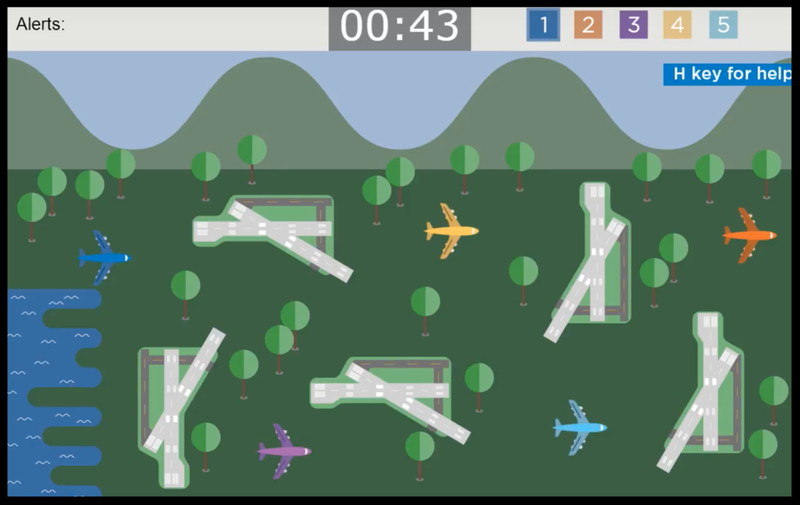 After some brainstorming, this concept seemed to be well suited for an Air Traffic Controller (ATC) metaphor, which could easily be gamified. 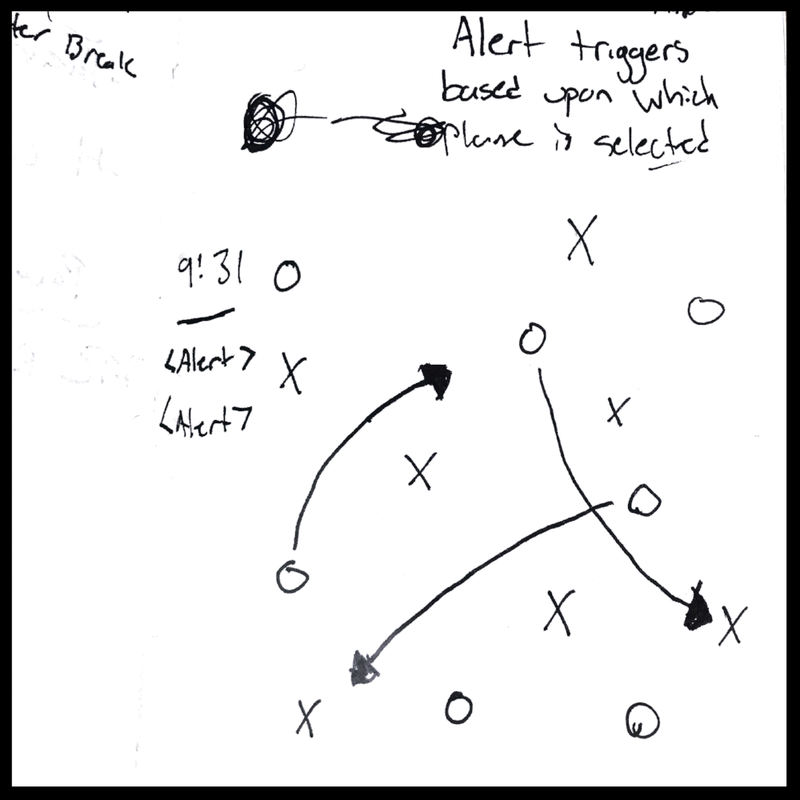 Special focus was given to making sure the user felt like they were playing a game that was one that they could win, even though the activity had built-in safe guards to ensure they failed at their given task. This meant that the activity was engaging while still delivering on its core mechanic. The game was developed with Lectora and some custom HTML/CSS to allow the user to utilize their keyboard controls to further enhance the feeling that they were playing a game. Graphic and Sound assets were also deliberately designed to evoke the sense that the user was playing a low-resolution game, hearkening back to the days of Nintendo or Super Nintendo. Once the user failed, the concept was reinforced through additional learning materials outside the scope of this activity. Click below to watch a demo of the eLearning Activity in action.